Polyblend® Grout sample colors are as close as possible to the actual color of the grout and are for reference only. Your final color should be chosen using a grout color card found in the retail location where the grout is purchased. Final grout shade may vary due to differing installation techniques and job site conditions. 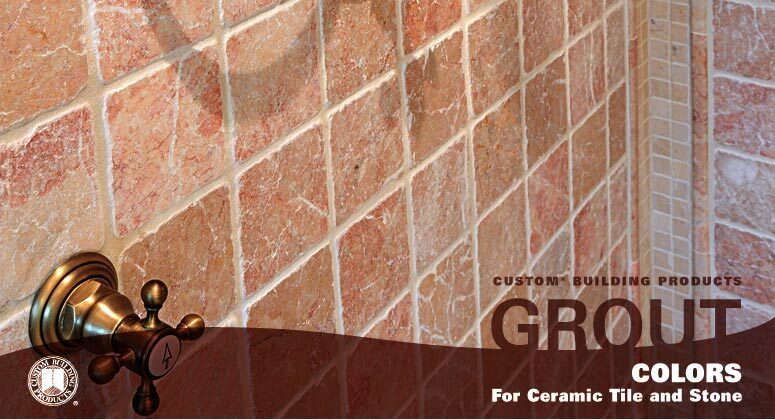 The color of grout selected for your tile project will impact the finished look. For a uniform look, select a grout color that is a close match to the tile for a tone-on-tone, subtle effect. This will make the room look bigger. Choosing a shade that is just slightly different than the tile color will give your installation more depth and interest. Consider where the grout is going to be used; a darker shade tends to show less dirt. To emphasize each tile or a tile pattern, choose a grout in a contrasting color. The grout then acts as a frame for the tile, giving the installation a grid effect. To view PDF files, download and install the latest Adobe® Reader®.